1. Keep yourself warm and bright this winter season with our LED Scarf. 2. 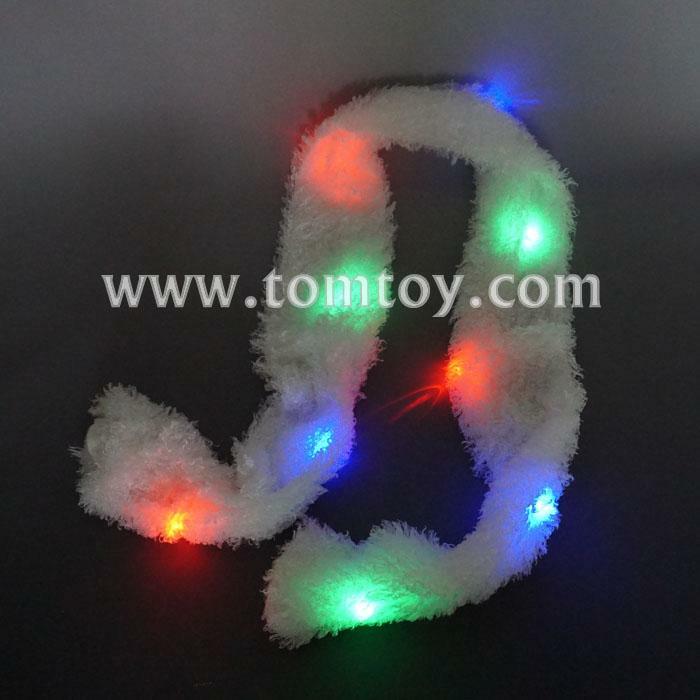 Made from soft, silky cotton and features 9 multicolor LEDS (3 green, 3 red, and 3 blue). 3. Easy to use, battery are included and installed. 4. Approx 5' in length, 4" in width.